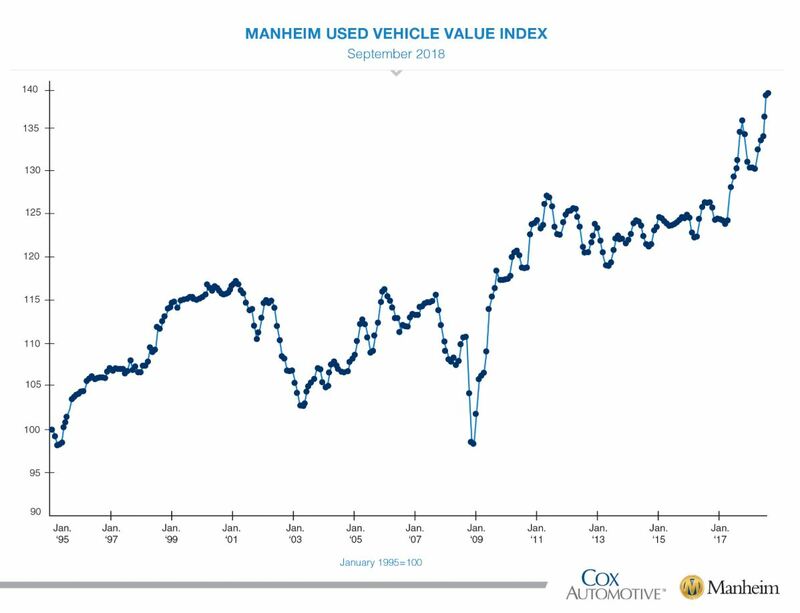 Manheim Used Vehicle Value Index Reaches Record High - Cox Automotive Inc. According to Manheim, wholesale used vehicle prices increased 0.14 percent month over month in September. This brought the Manheim Used Vehicle Value Index to 139.9, which was a 3.7 percent increase from a year ago and a new record high for the Index.